Empowered with our skilled artisans and craftsmen, we provide our clients with exquisite pieces of Marble Temple such as Small Temple, Marble Carving. These work include a wide variety of complex traditional designs carved on these stones or marbles. We have a wide variety of works in different sizes and shapes. 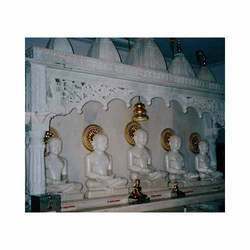 Exhibiting the true sense of creativity, we have a wide collection of Marble Temple. Our skilled team of craftsmen have designed these temple work that include figures of different Gods and Goddesses. These Marble Temple Works are carvings on the walls of the temples. Apart from carving the figures of Gods & Goddesses, we also manufacture a range of Small Marble Temple in intricate designs. These Small Temples are offered in different sizes and various intricate designs carved on them. 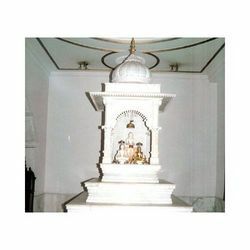 The Small Temples are made using high quality marble and stones.